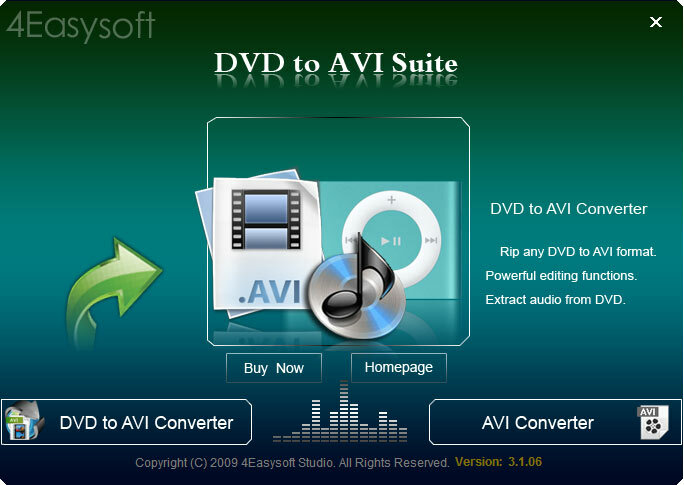 4Easysoft DVD to AVI Suite is a two-in-one tool, which is packed with DVD to AVI Converter and AVI Video Converter. Therefore, it provides you with the function of the two software - convert both DVD and popular video files to AVI format. AVI file on Creative Zen, BlackBerry, Archos, PSP, PS3, Wii, Xbox, Xbox 360, and more. Aiseesoft iPod Software Pack for Mac is the packs of Aiseesoft iPod Video Converter for Mac, DVD to iPod Converter for Mac, iPod Manager for Mac, and iPhone Ringtone Maker for Mac. 4Videosoft iPad 3 Manager for Mac is a professional Mac iPad 3 transferring software, which can help you easily transfer various files between iPad 3 and Mac freely. It highly supports all iPad, iPhone and iPod versions. Aiseesoft HD Video Converter is the best HD Converter software to convert HD video and other popular videos to any video and audio format. Also it allows you to convert among any audio. 4Videosoft TS Converter can convert video TS to other videos and convert MPEG to TS, AVI and all popular videos, like MTS, M2TS, HD HD MPG, HD MPEG,HD MP4, HD WMV, etc to TS with speed and precision. Aiseesoft FLAC to MP3 Converter for Mac is the powerful FLAC to MP3 Audio Converter for Mac, which allows you to convert FLAC (Free lossless audio codec) to MP3 and other audio formats like AAC, AC3, M4A, AIFF, OGG, AMR, etc.